After six weeks of touring the world, English pop duo Hurts finally arrives home this December. Theo Hutchcraft and Adam Anderson are both very happy to be on home soil and finally, after weeks of performing, they get the chance to introduce their fourth full-length album Desire to the London public. The songs from the new album sound lighter, happier, and more positive than all their previous work. Westminster World went to see them live at Brixton Academy to see their new style. After releasing their album Desire, the duo shared with NME that this is some of the best music they have ever made in their career. 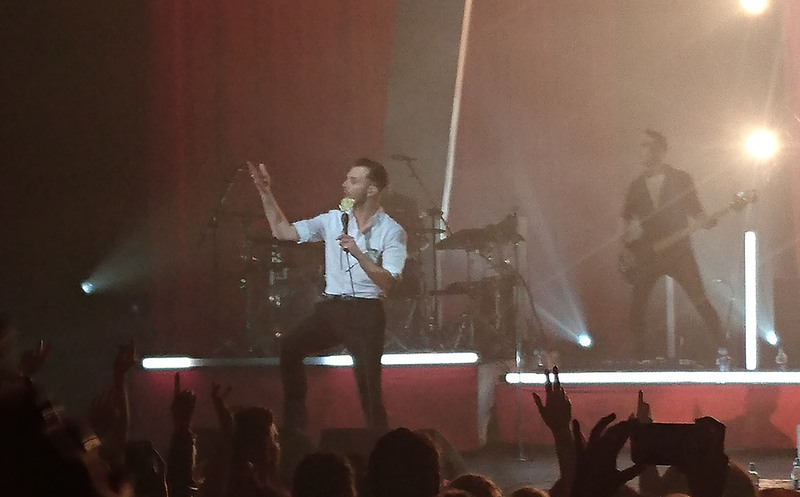 For the lyrics of Desire, Theo Hutchcraft (singer and songwriter) explained that they have been ‘a bit more personal on this record’. The band has always been very open-minded and they always share some very emotional personal experiences through their lyrics. Songs like ‘Somebody To Die For’, ‘Blind’ and ‘Blood, Tears and Gold’ bear their specific signature – beautiful pain. The lyrics are so well written that they sound like poems. The music is performed with such emotion that it can make you shed a tear. Considering they are based on true stories and experiences this makes fans even more empathetic with the music. This is the classic Hurts style and so far it has been consistent. This time the duo decides to try something else, and by doing so they take their career to another level. They now explore different parts of their lives, and they enter into new, more messed up and unfamiliar grounds for Hurts. Their new album is a mixture of controversial and even scandalous songs, like ‘Beautiful Ones’ and songs that have a happier tone. Their vibe is different, their meaning is stronger. One of the best examples of the new style is the dramatic single ‘Beautiful Ones’. Some people find it very provocative because of the story it tells, whereas some people applaud it because of it. Hurts simply describe it as a ‘celebration of individuality’. It involves serious current issues, and it portrays the strong contrast between love and hate, brutality and beauty. In ‘Beautiful Ones,’ the duo explores the forbidden twisted desires – they take pain and turn it into brutality. 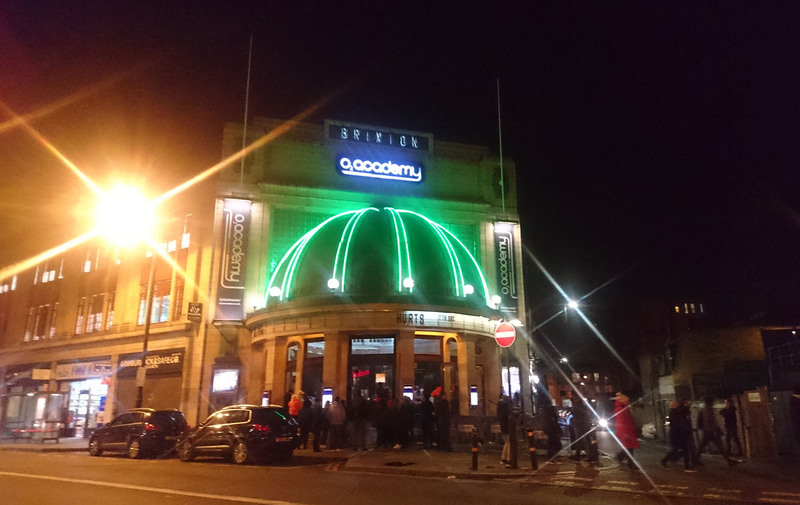 Moments before we get into Brixton Academy to enjoy Theo Hutchcraft’s velvety voice, we overhear people from the crowd discussing how ‘strange’ and how ‘different’ their new style is. This is true and in fact the duo aimed to achieve this ‘new’ style although it is very extraordinary for them. They now sound more ‘radio-friendly’ and more likely to get in the charts. This is a very big change of style for the band, and we believe an unknown territory for Theo and Adam. When the show begins, fans get the chance to listen to their favorite classic Hurts-style songs. Soon after the duo starts playing their new records, the crowd seems to be enjoying it a lot. Previously, before the release of this album, the crowd tended to mostly listen to the songs and move slowly to the rhythm. However, now the situation is very different – people who liked Hurts when they were ‘dark’ can now enjoy their happier songs. The crowd sings along as loud as they can, and jump wildly, while Theo is performing. The duo traditionally makes music that can evoke such deep emotion within you that your eyes can get filled with tears. Now, considering what Theo previously told Hurts fans this year that Adam and he wanted to get even more personal with their music, we understand why the new album sounds ‘happier’ than their usual style. Songs like ‘Wherever You Go’, ‘Boyfriend’ and ‘People Like Us’ sound positive in comparison to some of their classics ‘Illuminated’, ‘Rolling Stone’, ‘Somebody To Die For’ and, of course, their most well-known ‘Wonderful Life’. 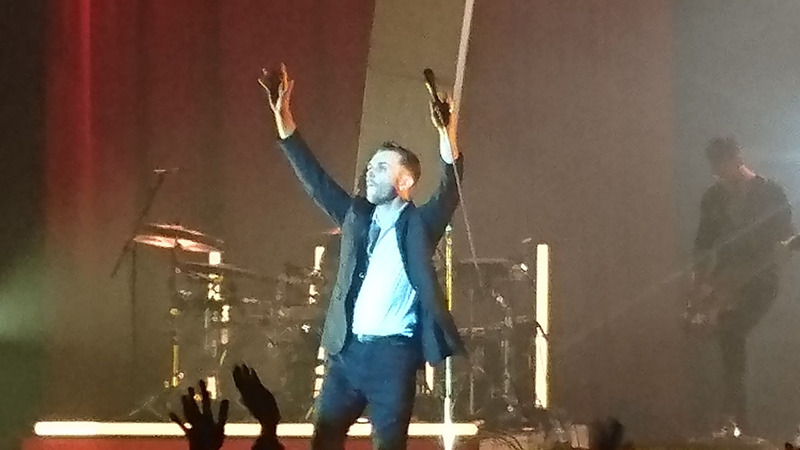 Desire consists of cheerful (for Hurts’ standards) songs that in fact aim to hint at more serious and deeper topics. Hurts end the night with their song ‘Stay,’ but come back for one more, wishing the crowd ‘Merry Christmas’ and performing their melancholic winter song ‘All I want for Christmas is New Years Day’. The Desire tour continues after the Christmas holidays. Tickets you can find here.